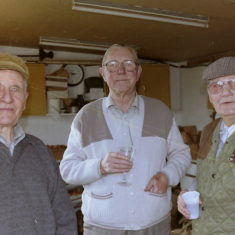 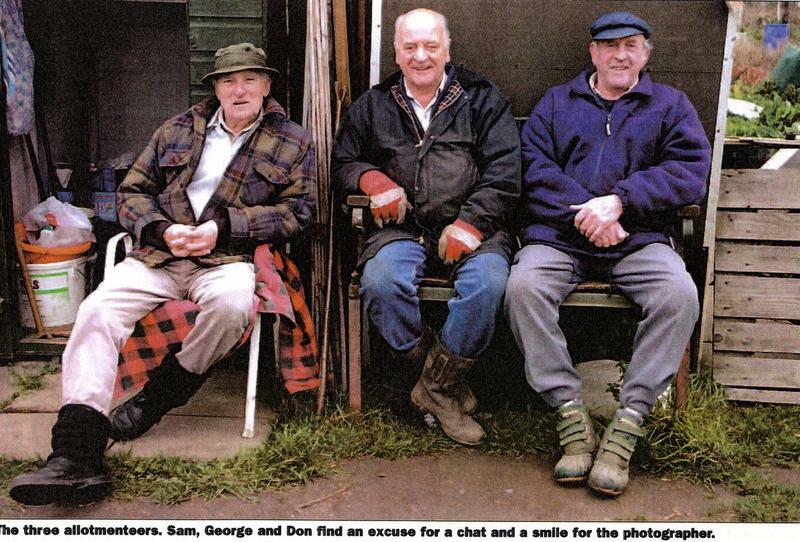 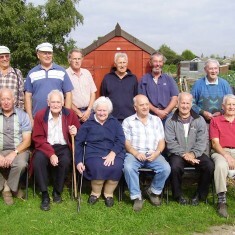 There have been many characters at the Allotments. 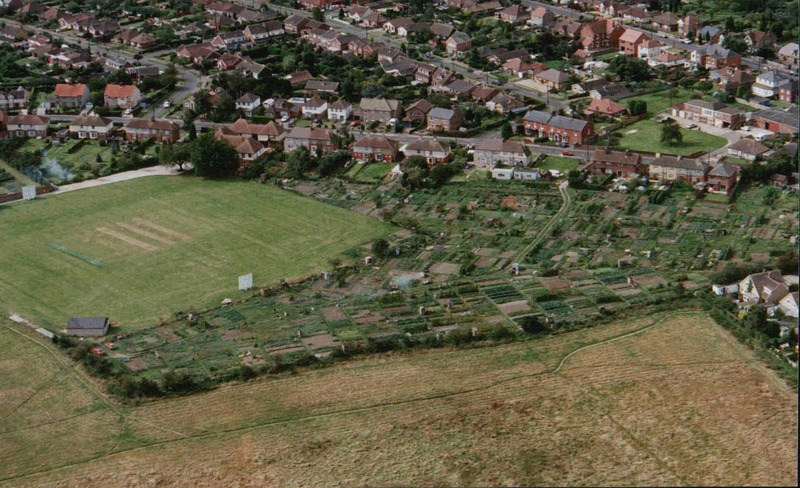 Here are some pictures of just a few of them. 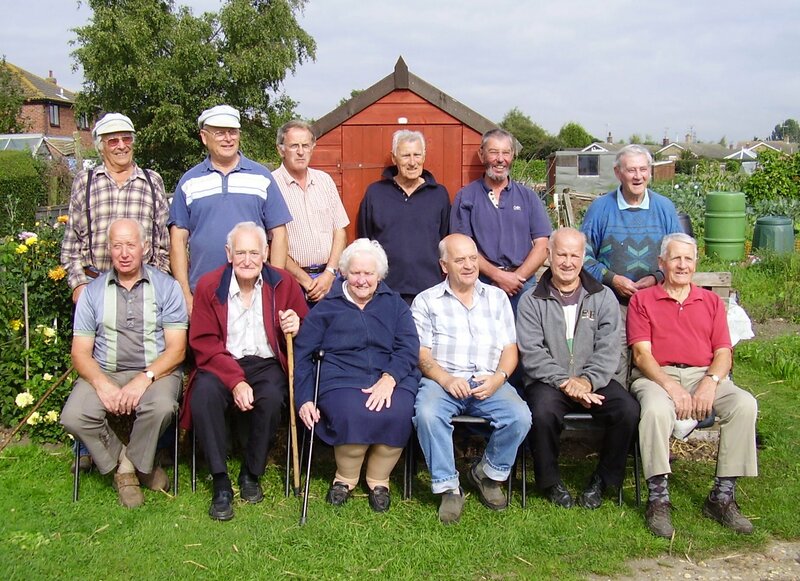 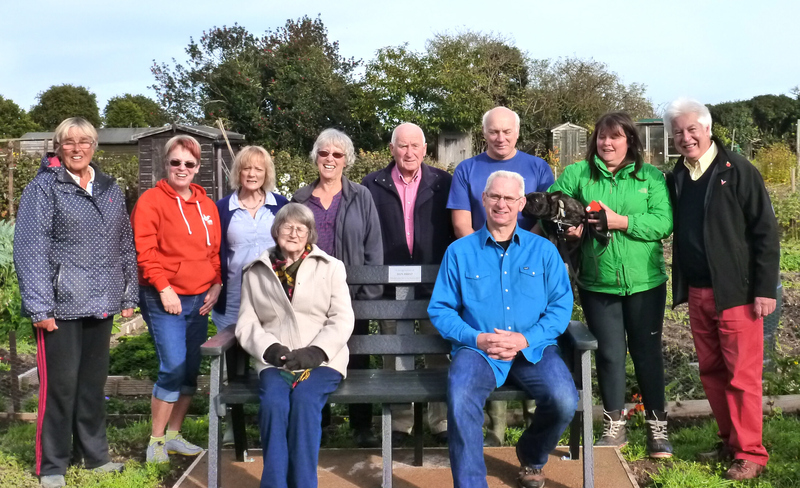 These are some of the people who have helped to make WAGA (Wivenhoe Allotment and Gardens Association) the thriving organisation it is today. 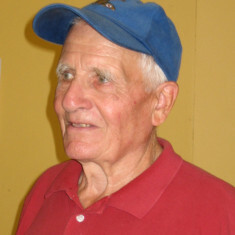 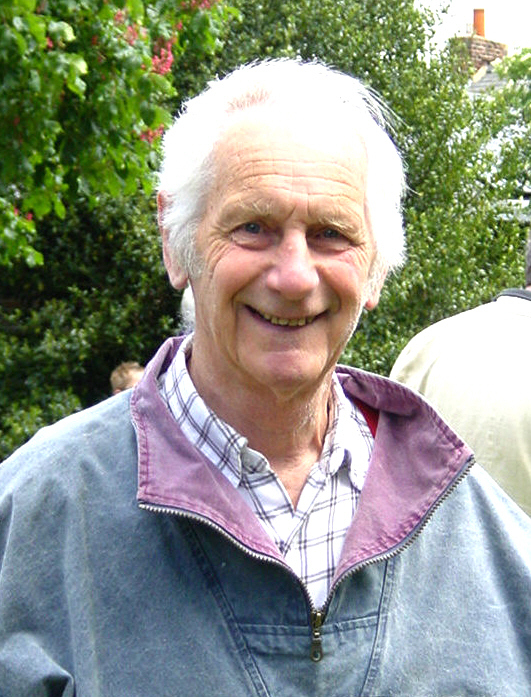 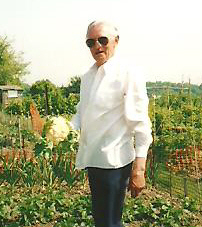 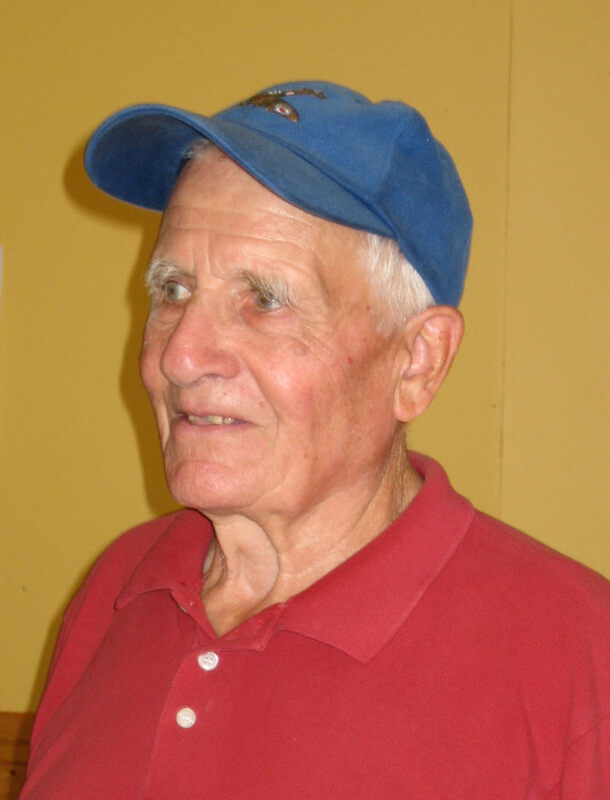 Phil Faucheux in 2004. 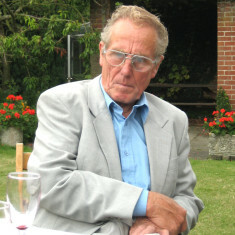 A long time Committee member. 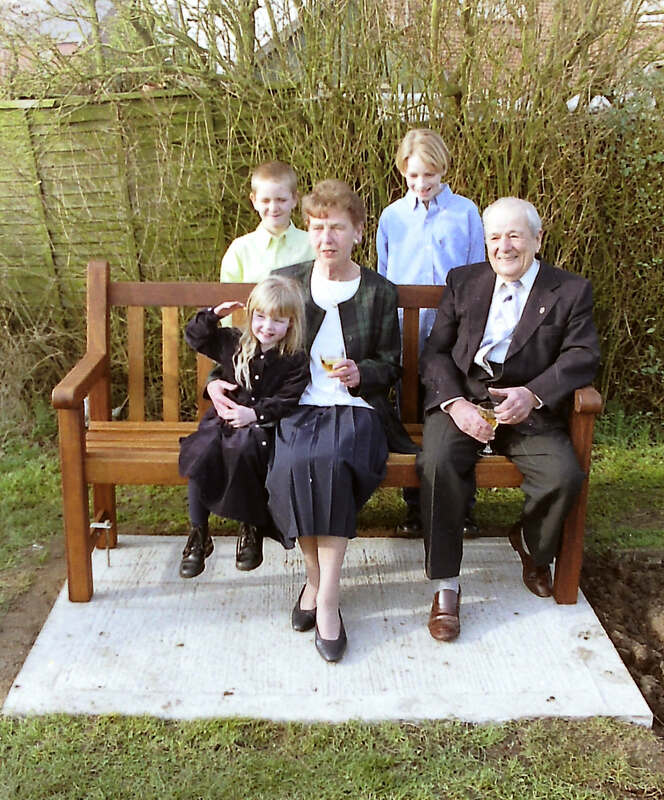 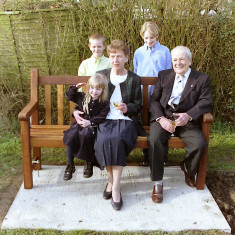 Pat Green and her grandchildren with George Atkinson, Chairman of WAGA, at the presentation of a bench in memory of Maurice Green. 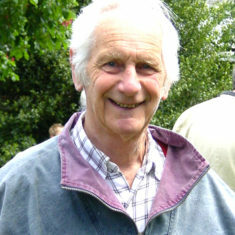 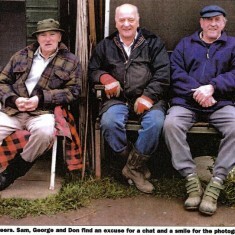 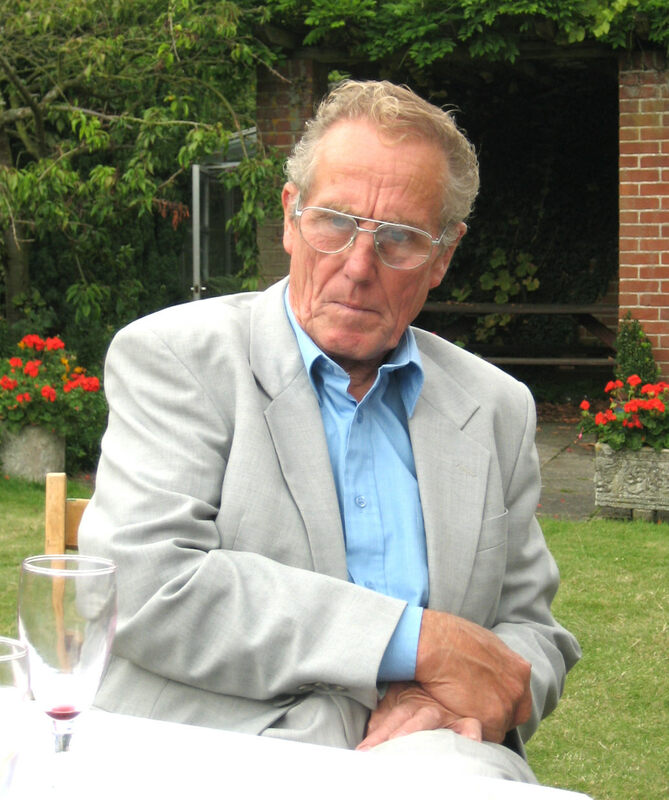 Peter Duffield, WAGA Trading Hut Manager for many years. 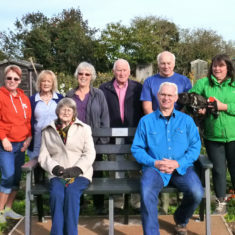 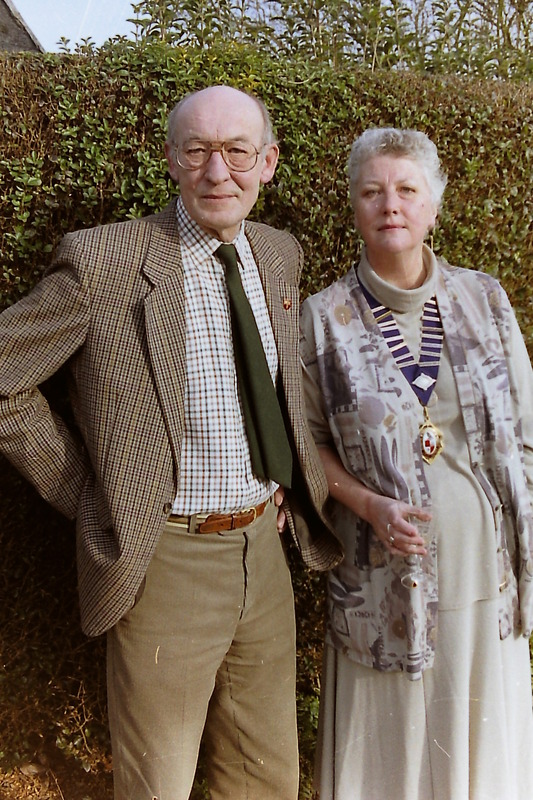 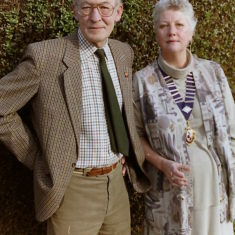 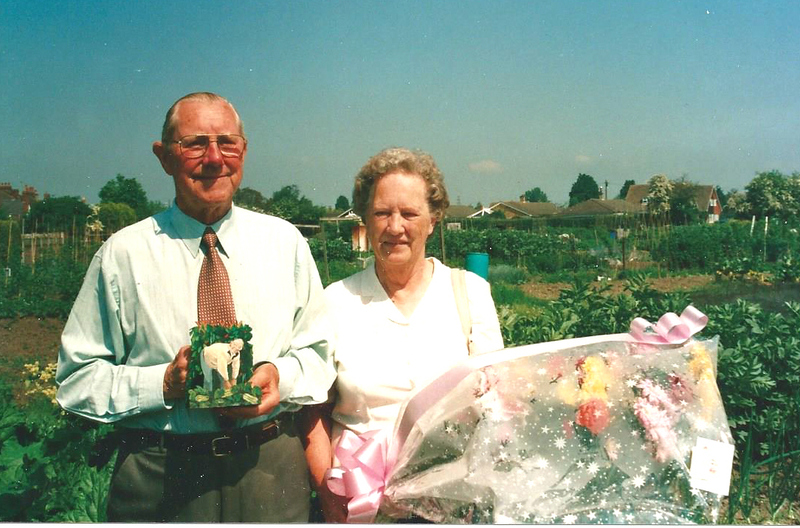 Jane Cole and Chris Hirst at the official unveiling of the bench in memoriam to Don Hirst, a long time allotment holder with members of the WAGA Committee: Sandy James, Margaret Medler, Angela Daisley, Jez Gladwin, Peter Watkinson, Alan Thomas, Trazar Astley Reid and Peter Hill. 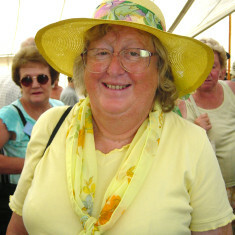 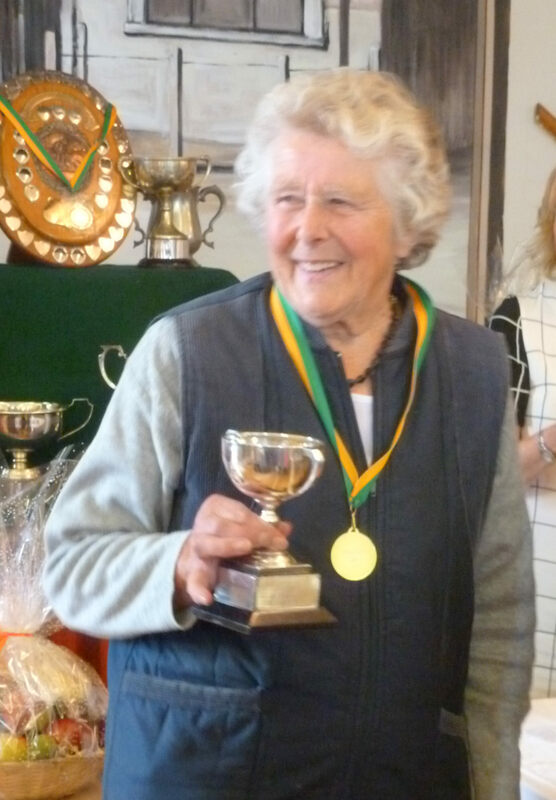 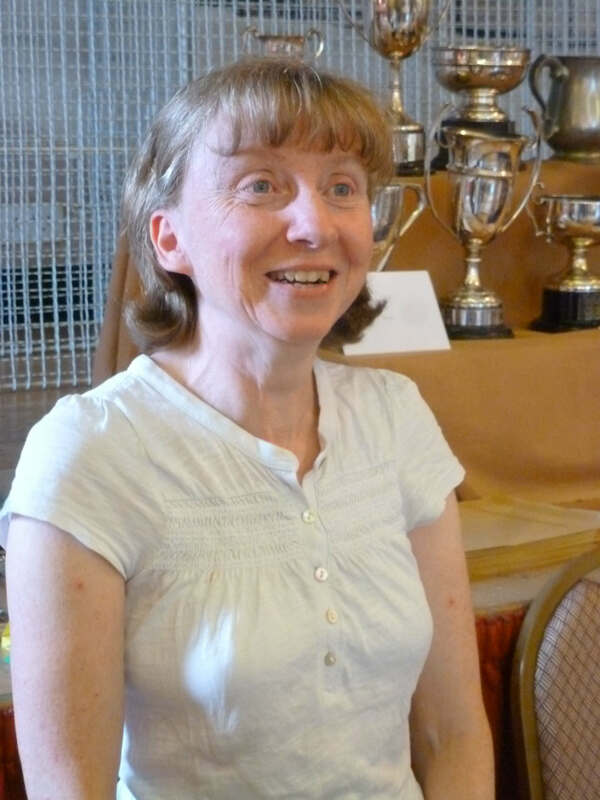 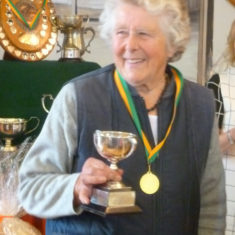 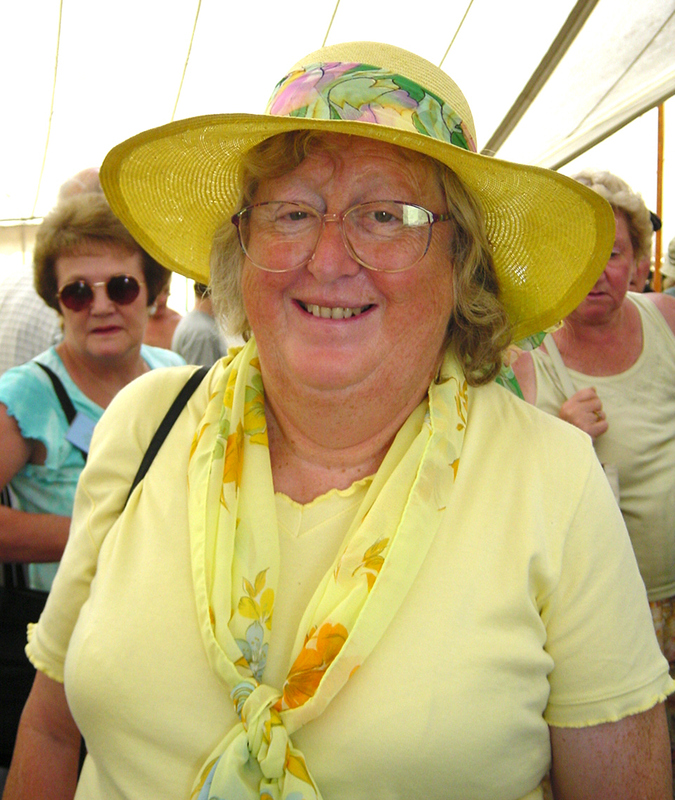 Jan Sheldon who has been involved in successfully organising the Wivenhoe Show for a few years. 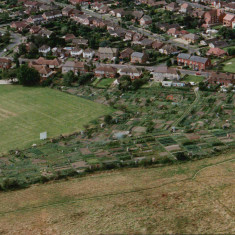 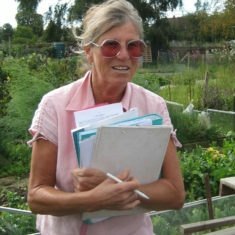 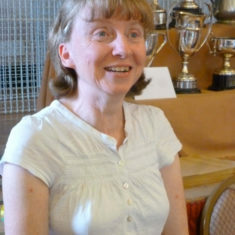 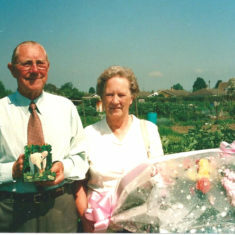 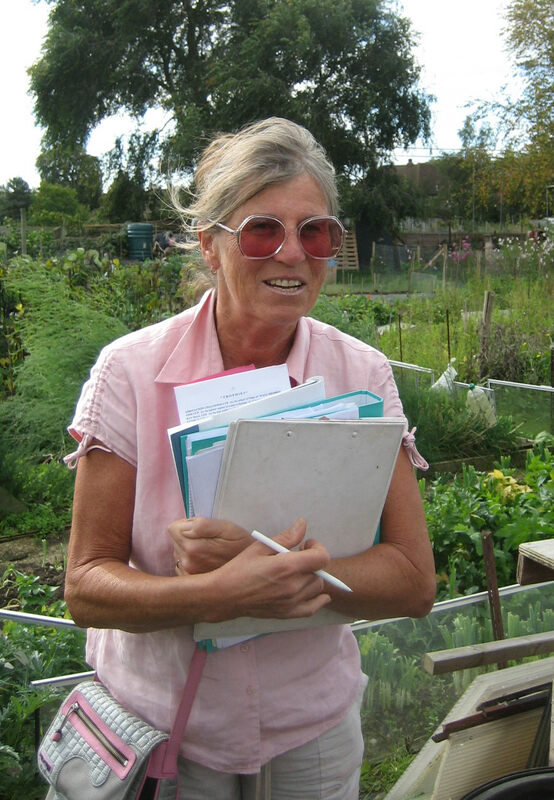 Celia O'Donnell, responsible for allotment administration for many years. 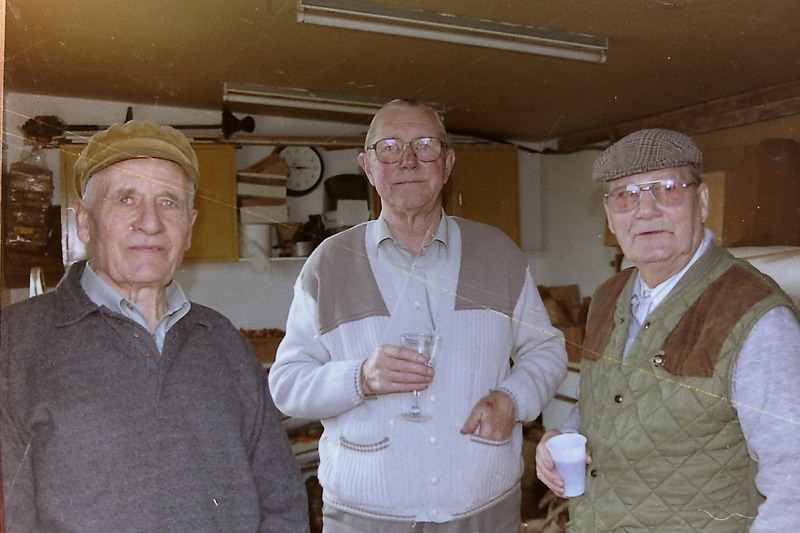 This page was added on 04/11/2016.